USC Trojans Jennifer Kessy and April Ross upset Brazil’s Larissa Franca and Juliana Silva in women’s beach volleyball to advance to the gold medal game. They had played Franca and Silva nine times in the past. They had lost all nine matches. They won when it mattered most. Under the rain at Horse Guards Parade they defeated the top-seeded team 15-21, 21-19, 15-12. 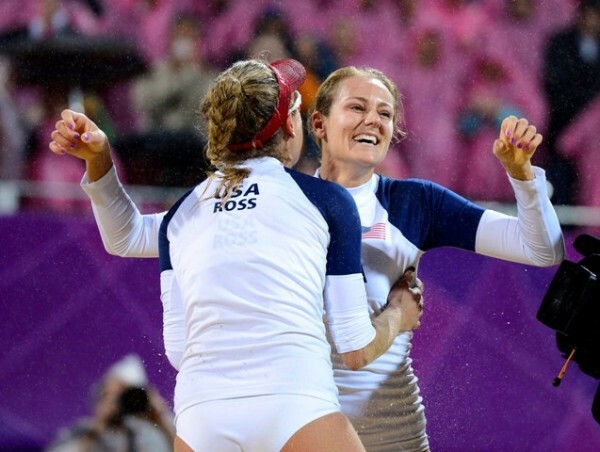 They will play in the finals against fellow Americans Misty May-Treanor and Kerri Walsh-Jennings on Wednesday. May-Treanor and Walsh-Jennings won gold in the 2004 and 2008 Olympics.